Item weight: 0.1 lb. 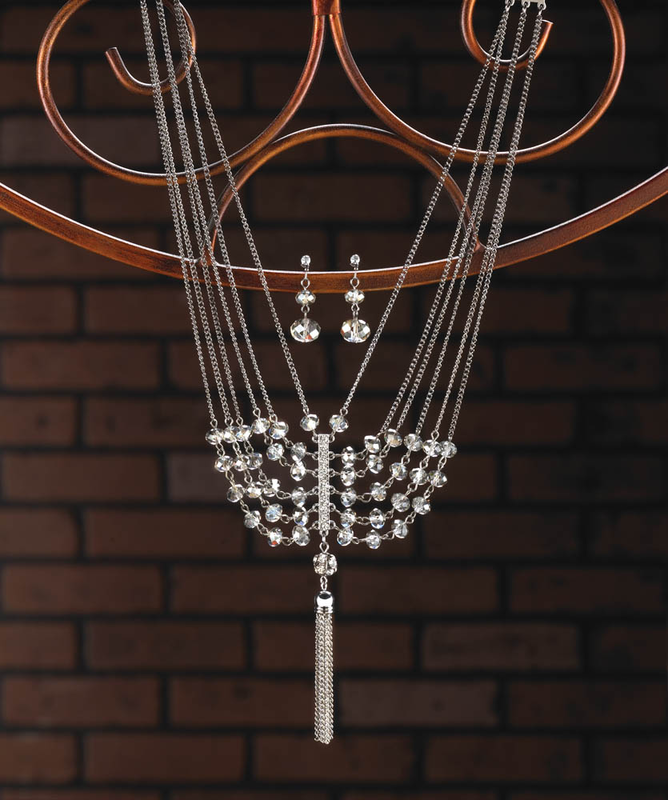 Necklace: 16½" long, extended to 19"; each earring is 1½" long. Zinc alloy. iron and glass. UPC: 849179018887.